An emergency room doctor told Christopher Adrian Garcia's family that 'the system failed him.' Authorities are investigating. Deep in the throes of psychosis three weeks ago, Christopher Adrian Garcia, 35, was asking for help. At other times, he was intent upon killing himself. This message, his family says, was repeated to anyone who would listen as he was shuffled between three Portland-area health care facilities in a single day. Before the day was out, despite being placed on a mental health "hold" to protect him from himself, Garcia escaped from Cedar Hills Hospital. Shortly thereafter, he took his own life at around 5 p.m. — a tragedy currently under investigation by Multnomah County and the state of Oregon. Garcia's oldest sister, Isabela, a lawyer in Dallas, has begun her own investigation, after having flown out to Portland to try to keep Chris alive. She had entrusted the local mental health system with his care. "It doesn't make any sense to me," she said as she recounted the events of the day Garcia died, adding that he'd never had mental health issues before. Nor is she satisfied with the verdict delivered by the emergency room surgeon after pronouncing her brother dead: "The system failed him, and that was it." Garcia's death came as the region's psychiatric emergency facility, Unity Center for Behavioral Health, was under state and federal investigation for, among other things, letting a patient take their own life while ostensibly under constant supervision. Another patient died due to what documents suggest was staff neglect. Most relevant to Garcia's death, the Unity facility in Portland had an entire 25-bed wing shut down due to understaffing, fueling an increase in "diverts" of needy patients to other facilities. That may explain why he was instead referred to Cedar Hills, a low-security facility in Washington County where he was able to escape soon after being dropped off. Last week, after taking steps to address problems, Unity was recommended to be cleared to continue operating by state authorities. But while the facility appears intent upon restoring full staffing again, Garcia's story shows the local mental health system in general continues to be strained, fragmented, confusing, and, for some, failing. •An apparent lack of communication and good security as Garcia was shuffled around, contributing to his escape from Cedar Hills. Beth Epps, chief clinical officer at Cascadia Behavioral Health Care, which operates the urgent walk-in clinic where Garcia first sought treatment the day he died, declined to comment on his case. But speaking in general, she said it's a small number of people who need the highest-level of mental health care. "The people who need it really need it, and they need it to be done well. And it's difficult in a system where it's just iffy." 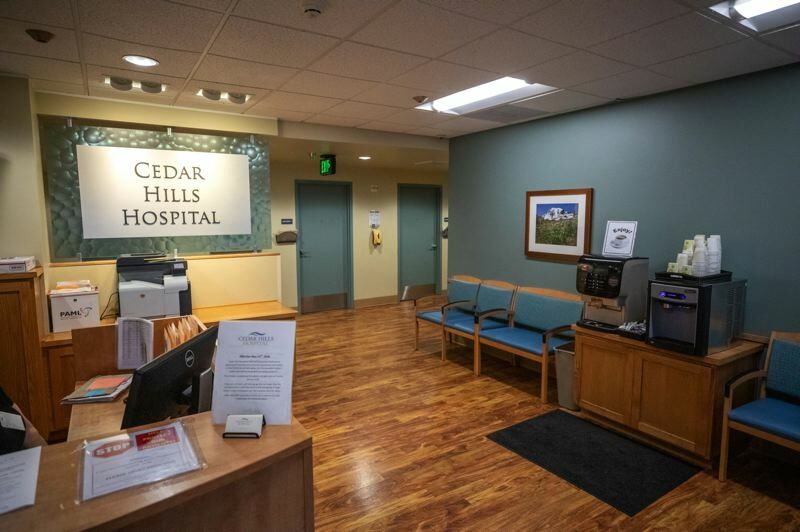 Libby Hutter, CEO of Cedar Hills Hospital, declined to divulge any particulars of the Garcia case other than to concede a patient escape had ended in death, and said her company is reviewing the situation thoroughly. Hutter said her facility has seen transfers from other hospitals of seriously ill patients go up "pretty exponentially" over the last year or more. "I just can't emphasize enough how seriously we take this incident and how much it affected the staff, me personally, and the leadership team here," she said. "We've never had anything like this happen before. It's been heartbreaking and traumatic." Neal Rotman, a top Multnomah County mental health manager, sent out an email to staff the day after Garcia took his life. He announced that the matter would be investigated, adding that "our hearts go out to (Garcia) and his grieving family" and urging county staff to seek counseling if needed. While he declined to discuss the Garcia case, Rotman told the Tribune in general that "to me when someone is put on a 'hold' it means that you need to secure that individual." Raised in Texas as one of four siblings, Garcia moved to Eugene to live with his younger brother, Stefan, a recent University of Oregon graduate who was seeking a career in digital design. The two had matching tattoos that read "My brother's keeper." Garcia quickly met a woman who became his girlfriend and followed him to Portland. Garcia, a music fan known as "Super C" to his friends, had studied kinesiology at the University of Texas and had worked a variety of jobs there, including medical assistant and legal assistant. When the two brothers moved to Portland on Aug. 1 this year, Garcia got a job at the Qdoba restaurant downtown as a line staffer, making a little more than minimum wage. "He was always reliable," his former manager, Nathan Rebol, said. "I was looking to give him a raise." But to his family, Garcia seemed depressed. And between Sunday, Oct. 14, and Monday, Oct. 15, his brother started to get worried as the signs of a psychotic break emerged. Garcia started talking about hearing voices and that "they" were coming to get him — to take him to "hell," a place he described as the worst jail in existence. He also talked about taking his own life, and his brother Stefan confiscated a handgun that Garcia said he intended to use on himself. For 48 hours, Stefan struggled to keep his brother alive, while fearing that the sight of police would trigger his worst fears. Garcia's brother got him to Cascadia's urgent walk-in clinic on Division Street, a few blocks from that street's thriving restaurant strip. But there, according to Isabel, her ailing brother was initially offered a free cab ride to the destination of his choice — despite having expressed his desire to take his own life. When Garcia bolted and ran for the street in an apparent attempt to be hit by traffic, his brother Stefan tackled him and Cascadia staff called police. He was transported to Portland Adventist's emergency room. Prior to 2017, Garcia could have been held, medicated, and potentially stabilized there at Adventist. But Adventist had shut down its psychiatric beds to make way for the establishment of Unity Center last year. Unity, however, has been overloaded, and Providence Portland's psychiatric ward has been as well. That, mental health professionals say, is likely why Garcia was transported to Cedar Hills, a nondescript building set in residential unincorporated Washington County, a block from Highway 217. There, the room where Garcia was assessed is just inside the main lobby, apparently with little impediment to stop people from walking out of the hospital's front door. His brother Stefan, joined by his sister Isabel, saw Garcia only for a few minutes before heading to Target to get him some food., she said. Not long after that, Stefan got the call saying his brother had escaped from the hospital and killed himself, sparking a bout of depression that has spread throughout the family. "It has torn my whole family apart," Garcia's sister said. "It's like a domino effect of desperation and grief." And the lawyer is now seeking legal help in Portland, saying that the facts of the case seem to match up fairly well with a case of negligent homicide. She says it almost seems like the locals are "desensitized" to the plight of the mentally ill, adding "there's been no accountability (for) the individuals commissioned to secure his safety." Though mental health professionals interviewed for this article declined to discuss a case that is under investigation, they indicated in general that the system's problems include a lack of funding for care coordination to ensure providers work together and that patients leaving clinics for hospitals get the help they need. "Being funded better and making sure we do that (coordination) piece is the hope in all this," said Epps. Garcia's sister, Isabel, agrees. "A note takes 30 seconds to write. Why didn't that information follow the patient?" There's also a need to revisit Oregon's restrictive civil commitment law to ensure safety is balanced with civil rights, some say. Prompt action to restrain the suicidal and psychotic Garcia sooner could have saved his life, his family says. "Shackle him, then," she says she responded. "No, Oregon laws, they're all about his liberties," she recalls the response. Epps, who like Garcia is from Texas, agrees that Oregon's law can be an obstacle to getting help. "Oregon has a lot more services than Texas does," she said, but when it comes to very distressed patients, because of Oregon's challenging civil commitment law, "it makes getting people services in Texas easier than it is here." Moreover, the local system remains so fragmented that even some local mental health professionals find it hard to navigate, several told the Tribune. "We hear heartbreaking stories of people being shuffled around in the system," Hutter said. "I don't know that the system does a good job helping people navigate." And finally, the system is under immense strain, with demands far outstripping the capacity. In part that has been due to Unity's problems. But also, the system's beds have not increased to accommodate greater demand caused by a state agreement with the federal government to move people with the highest "acuity" — meaning most severe behavioral challenges — out of the Oregon State Hospital sooner. 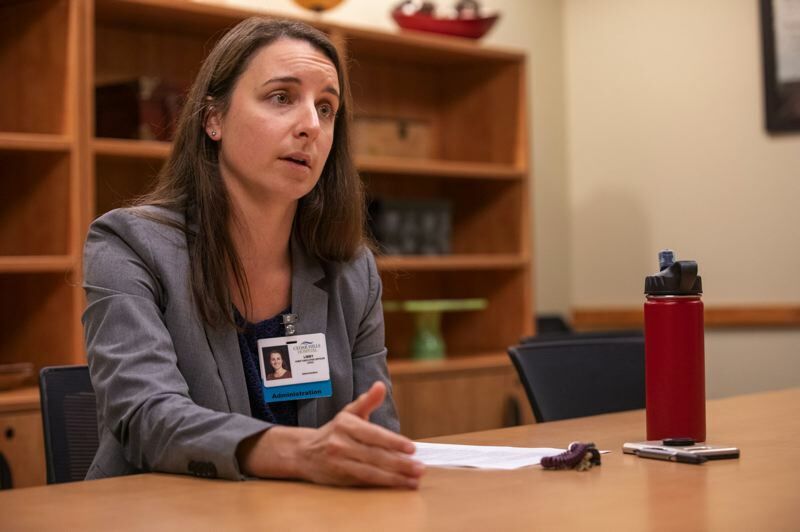 "The state is under agreement with DOJ to reduce time people are in state hospital and residential treatment homes," said a Multnomah County spokeswoman in an email. "Since then, we are seeing higher acuity in all communities, but especially here because of the sheer volume of people in Multnomah County. 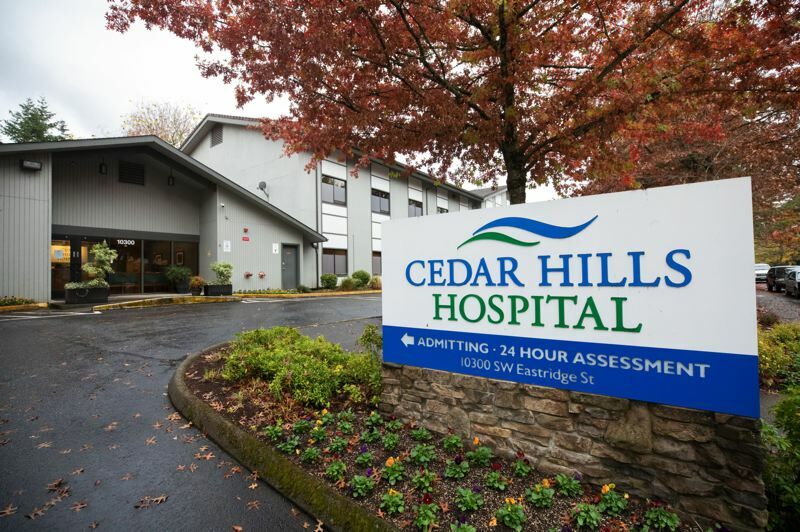 Hutter, the Cedar Hills CEO, said that contrary to the mix of patients the hospital saw in prior years, "It feels like we are getting only the absolute sickest folks for inpatient care." The hospital's parent company, Universal Health Services, has been in a legal dispute over the state's denial of the company's proposal for a new 100-bed psychiatric facility in Wilsonville. Local hospitals and Unity argued that there are ample beds in the area, and the state agreed. "We think there absolutely is a need for more inpatient pychahiatric care here. People are sitting waiting in emergency departments for far too long," Hutter added. "If we want to get people to the right place in the current system then we should have beds available for them." Epps said stress in the external world is not helping. "Things are just getting busier and more chaotic," Epps said. 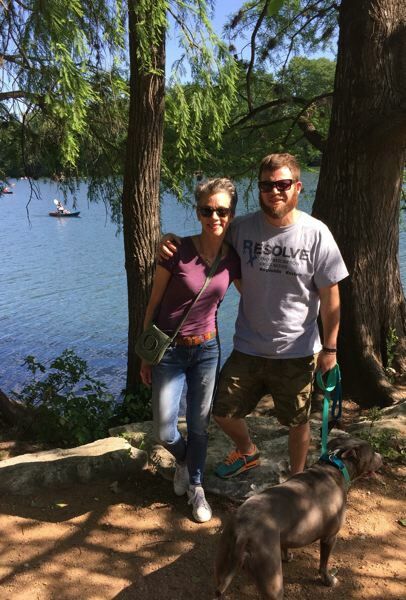 "We just live in a really chaotic society right now and people are worried and anxious and angry at each other, and on edge even when they don't have a mental illness or substance use disorder going on. People are needing help these days, and the clinicians trying to provide that help live in that same world." Multnomah County's Mental Health Call Center is always open for people needing help, at 1-800-716-9769. The county also funds the urgent walk-in clinic operated by Cascadia at 4212 S.E. Division St. Staff members there assess members of the public regardless of whether they have health care coverage. It is open between 7 a.m. and 10:30 p.m. every day.